Happy Sunday, loves! Long time no blog! This post has been in the works for foreverrrr now. I've wanted to write another luxury handbag review ever since I got my hands on this baby over the summer, especially because the response to the Chloe Drew review was so overwhelming. Well, better late than never, right? This is actually the first designer handbag that I purchased all on my own! It felt so good to be able to commit and invest in something for myself, by myself...my first "real" purchase as an adult after college graduation! 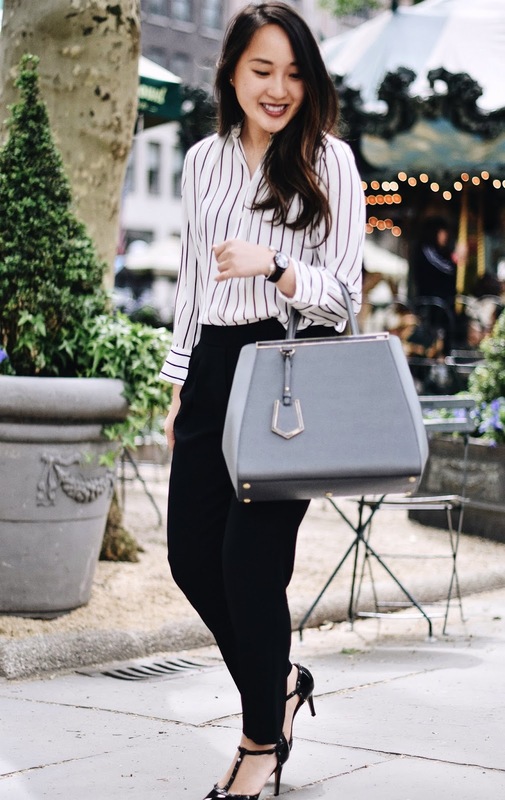 Since I had just started my first full-time job at this point, I was really looking for a chic, #bossgirl statement bag that would be appropriate for the corporate world of fashion. Of course, there are so many lust-worthy designer handbags out there, how do you really choose the "perfect one"? I definitely had my eye on a couple other designer handbags at several luxury brands...Prada Saffiano Double Tote, Celine Belt Bag, Saint Laurent Sac de Jour (just to name a few)--but in the end it really came down to three main factors: price point, design/durability, and function. Even as my first adult purchase, I was not looking to break the bank. Even among luxury handbags, there is a hierarchy of price points. Celine was definitely out of the question in terms of budget, and after further research, it didn't seem as though the Belt Bag could really withstand everyday wear without ruining the original shape. Prada and Saint Laurent were in the target budget, but their designs didn't have what I was ultimately looking for: novelty. In the end, this Fendi 2Jours in Grigio checked everything off the list. There are three different sizes for the Fendi 2Jours design--from petite to large. When it's time to decide which size to invest in, it really comes down to the main function of the handbag and how it will fit within the rest of your current collection. After much thought and comparing all the sizes in person, it seemed as though the medium size was really the way to go. Before taking that plunge and really committing, make sure you're shopping around on available channels of purchase. Definitely take the time to go in-stores to get an accurate gauge of the size and design. It took me about three months before I pulled the trigger from browse to purchase! If you're unsure of the best way to buying luxury, check out my guide here as well! And finally, don't be afraid to shop pre-loved! There are definitely places out there where you can get amazing deals on pristine condition luxury goods (such as here & here)! 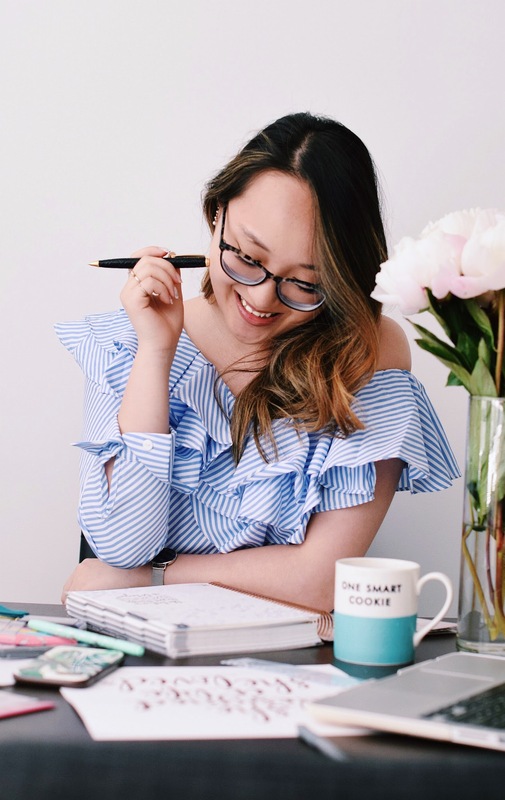 Hoping this little guide/review/personal post helps all of you out there who are just as overwhelmed as I am when deciding on a #girlboss statement bag. Let me know your thoughts and what your dream bag is in the comments below!